Law and Lawyers: Julian Assange ~ Quo Vadis? Update 1 : A statement has been issued by the Foreign Secretary - here. "The UK does not accept the principle of diplomatic asylum. It is far from a universally accepted concept: the United Kingdom is not a party to any legal instruments which require us to recognise the grant of diplomatic asylum by a foreign embassy in this country. Moreover, it is well established that, even for those countries which do recognise diplomatic asylum, it should not be used for the purposes of escaping the regular processes of the courts." Thus, the British government is not prepared to give Assange safe passage from the UK. and in some earlier posts - here, here and here. 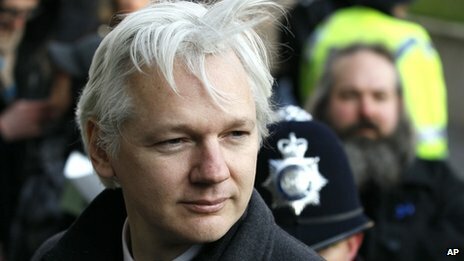 According to the BBC Report 16th August - the U.K. made a "threat" to revoke the embassy status of the building where Julian Assange is and such a move would have been followed up by the arrest of Mr Assange. As opposed to a "threat" it seems more likely that, during negotiations, the British government will have referred to English law relating to embassies. in 1988, the Law Society Gazette published an article on the Inviolability of Diplomatic and Consular premises. (b) to national security; and (c) to town and country planning. The starting point must be the international law position of the inviolability of the premises. Next, the power in the 1987 Act may only be used if permissible under international law. The question there would be whether, in international law, there are any situations in which an embassy may not be inviolate. That would be a difficult issue productive of lengthy and costly legal proceedings. Then, section 1(5) enables public safety, national security and town and country planning to be considered along with any other relevant considerations. It is difficult to see how the granting of asylum to an individual such as Mr Assange would justify the use of any power under the 1987 Act. For further discussion on this see the excellent posts at Head of Legal and New Statesman. Any attempt to use the 1987 Act would almost inevitably result in legal challenge by way of judicial review and any such challenge would equally inevitably be destined for the Supreme Court of the U.K. Some comments made by Baroness Young in Parliament on 14th May 1987 may prove helpful in terms of what the 1987 Act was intended for. In any event, the government would be mindful that, if it were to use any power it may have, it might have practical repercussions to British Embassies around the world. Meanwhile, as things currently stand, the U.K. remains bound in international law to extradite Mr Assange to Sweden. Mr Assange lost his appeal to the Supreme Court and, in a very brief and, I submit, unsatisfactory statement, the Supreme Court later refused to re-open the case. 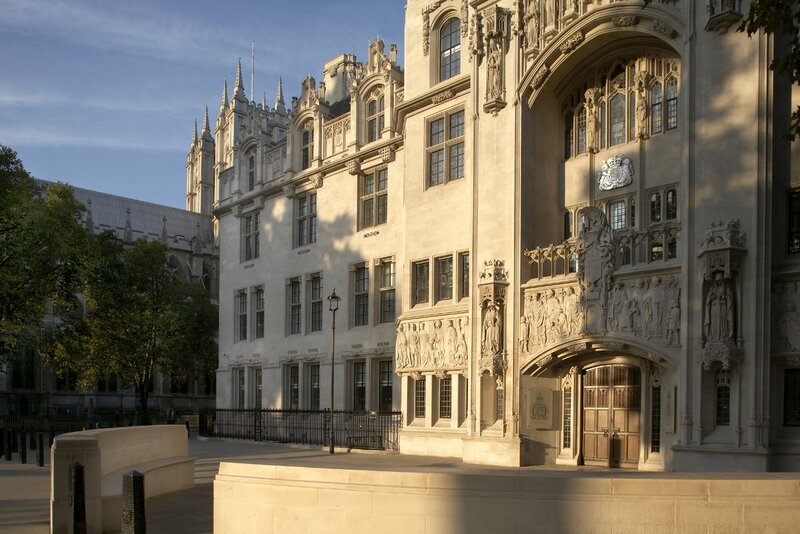 It is arguable that the Supreme Court was incorrect in its interpretation of the European Framework Directive relating to the European Arrest Warrant. Two posts in the Cambridge Journal of International and Comparative Law examine this point - see Part 1 and Part 2. So, Quo Vadis ~ Mr Assange? He may remain in the London Embassy but may he be got out of the U.K. without being arrested by the British authorities? Assuming they could get him into an embassy car then he could presumably be driven to Heathrow Airport. The Vienna Convention Article 22(3) protects the "means of transport of the mission" from search etc. However, arrest at Heathrow might be possible. All of this is, of course, interesting speculation at this stage. "We are disappointed by the statement from Ecuador's Foreign Minister that Ecuador has offered political asylum to Julian Assange. Under our law, with Mr Assange having exhausted all options of appeal, the British authorities are under a binding obligation to extradite him to Sweden. We shall carry out that obligation. The Ecuadorian Government's decision this afternoon does not change that. We remain committed to a negotiated solution that allows us to carry out our obligations under the Extradition Act." The use of the word "disappointed" probably means that there is little chance of the UK government offering Assange safe passage out of the UK to Ecuador or anywhere else apart, of course, from Sweden! the government is between a rock and a hard place. However, it may well see its duty as having to stand by the decision of the UK Supreme Court which permits the extradition of Mr Assange and, of course, the Supreme Court's decision was prior to Mr Assange claiming asylum. See section 1(7) of the 1987 Act - that probably means the Court would not get involved in the question of whether or not the Embassy was immune if the Secretary of State issued a certificate saying it was not - that might not preclude a JR to quash the decision to remove the immunity though? (7) In any proceedings a certificate issued by or under the authority of the Secretary of State stating any fact relevant to the question whether or not land was at any time diplomatic or consular premises shall be conclusive of that fact. Presumably JR could still be sought claiming that the issuing of the certificate was Wednesbury unreasonable. @ A Barrister in London - Thank you - in the post above I have added a link to the Law Gazette article.